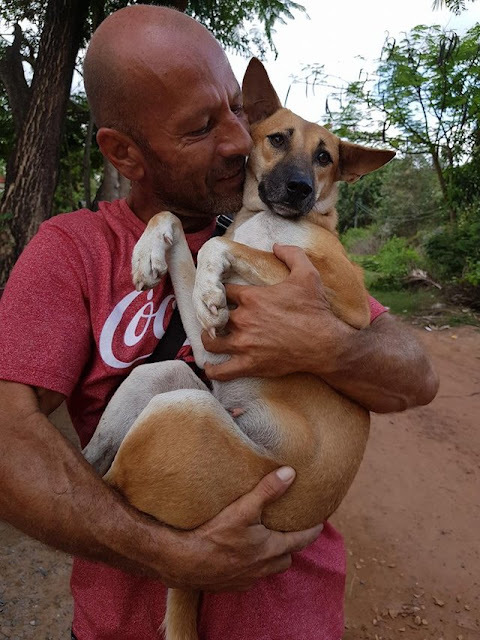 A man named Michael Chour changed everything for some dogs at a meat farm in Chomkachek, Cambodia, when he encountered a slaughterhouse — specifically, one dog named Sweety. 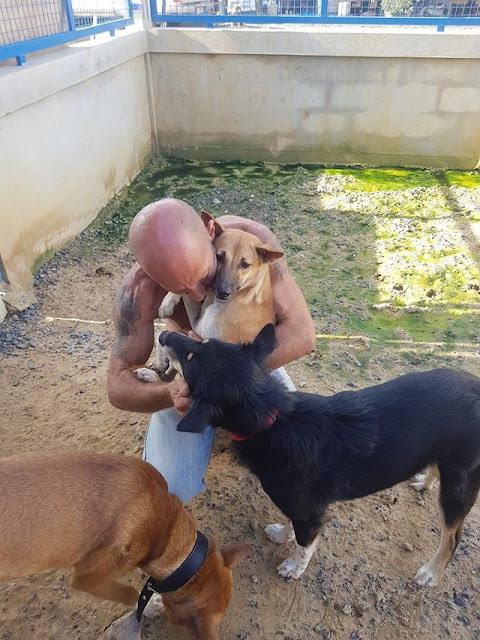 The dog was hiding in the back corner of the cage awaiting her fate when her hero saved the day. 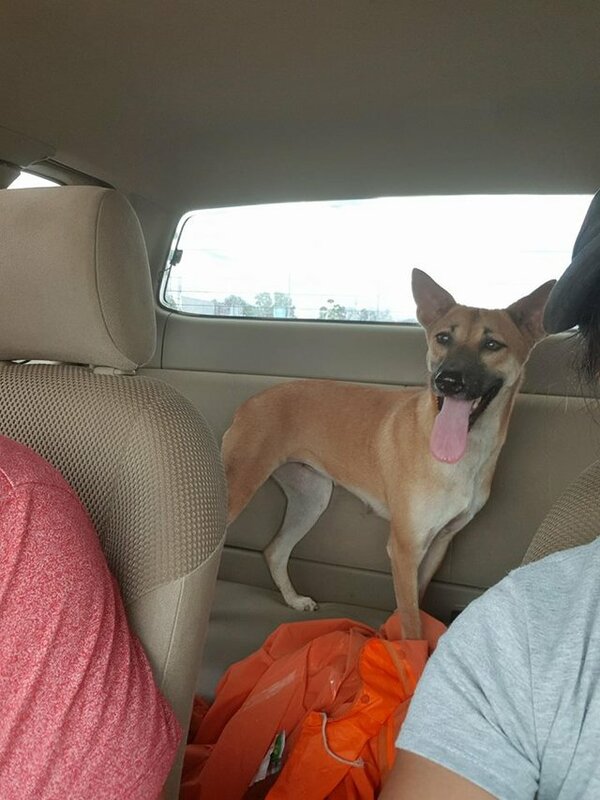 The founder of The Sound of Animals, an organization that saves dogs from the meat trade in Southeast Asia, spoke to the owner and negotiated the release of 17 dogs, including the little one he would name Sweety. 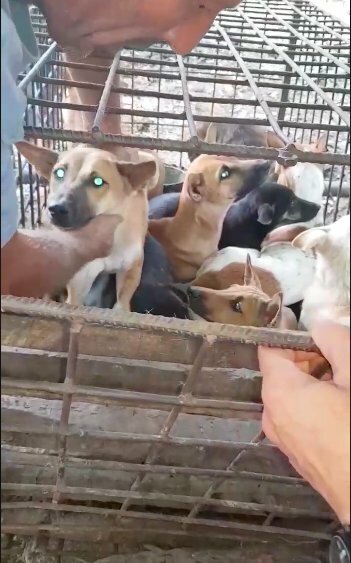 All of the dogs were moved to a temporary shelter in O Smach, Cambodia, where they would have their health assessed before being moved to a large dog shelter run by The Sound of Animals in Ban Kruat District, Thailand. 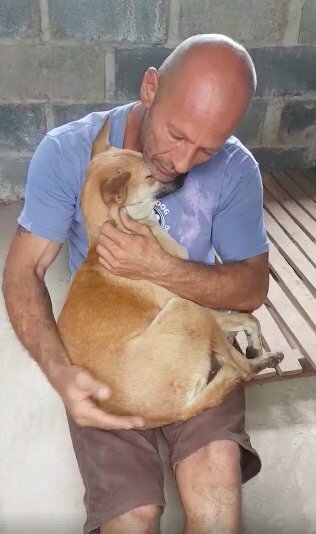 Michael lifted Sweety out of her transport carrier after arriving to the temporary shelter, and the dog was still very frightened and didn’t know what was going on. 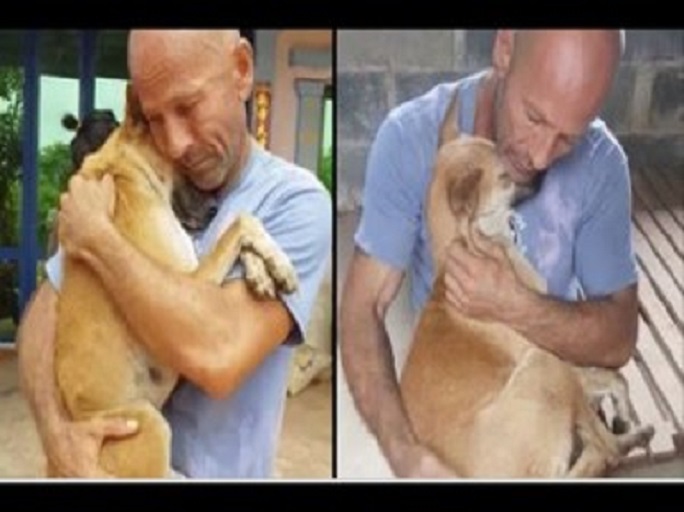 She wanted nothing else other than to cuddle in the arms of her rescuer as a way of saying thanks. It was the only comfort she knew at that moment in time. Sweety kept hugging Michael, but once he placed her on the ground she was a lot more relaxed. 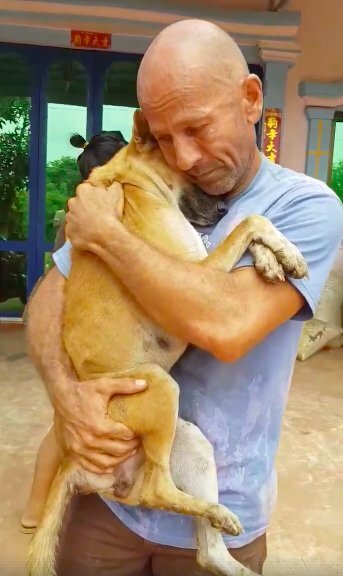 All he wanted was for the dog to know that she’ll be loved and that this was a turning point in her life. Normally Michael tries to find homes for his rescue dogs, but he has decided to keep Sweety all to himself. He just had to have her. You can donate to The Sound of Animals here.